Our crackfilling process is the most advanced way of crack repair today. Unlike other local contractors, S & S uses a pressurized system to fill cracks. First, all cracks are cleaned out using compressed air to blow out debris. For heavy vegetation, we first weed kill all infected areas. 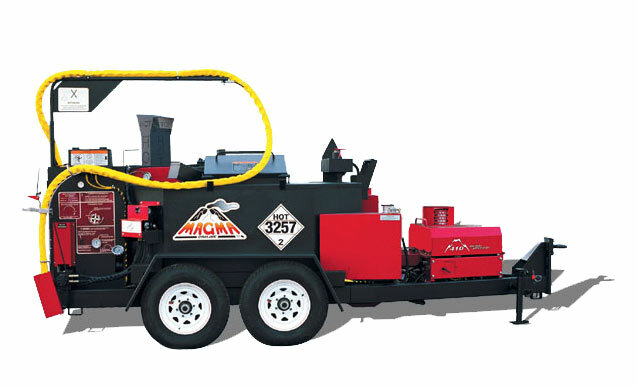 After the weeds have died, we use gas powered routers to remove the dead grass and heavy dirt. 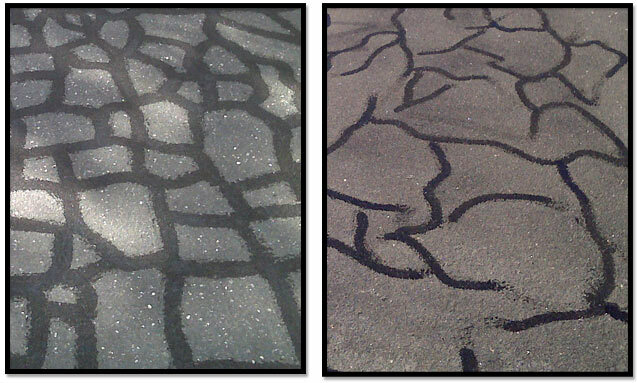 After all cracks are properly cleaned, we then fill them by injecting a commercial grade hot rubberized crack filler. Our machine enables us to provide a neater longer lasting job as well as being able to use a material that hardens better and has a less tacky finish. After cracks are filled, a black beauty sand is applied over the material to finalize our process.